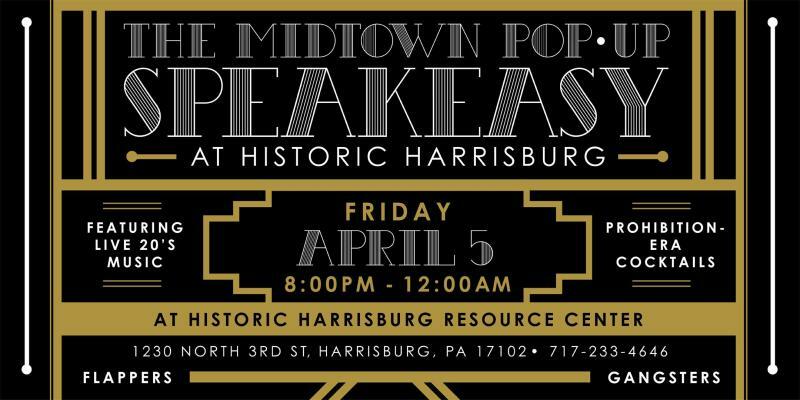 On April 5th, on a quiet corner in Midtown Harrisburg, a historic bank will be transformed into a party like no other. 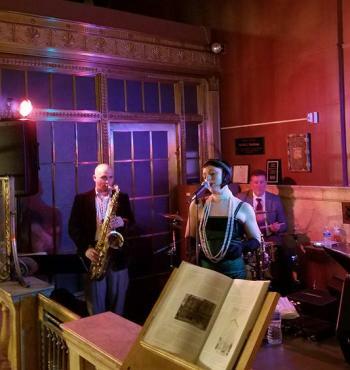 I am talking, of course, about the one-night-only Midtown Pop-Up Speakeasy held inside Historic Harrisburg&apos;s 1929 landmark Central trust Company bank building. The party starts at 8pm with Prohibition-era cocktails, mixed by Cafe 1500, live jazz, and complimentary heavy hors d’oeuvres. 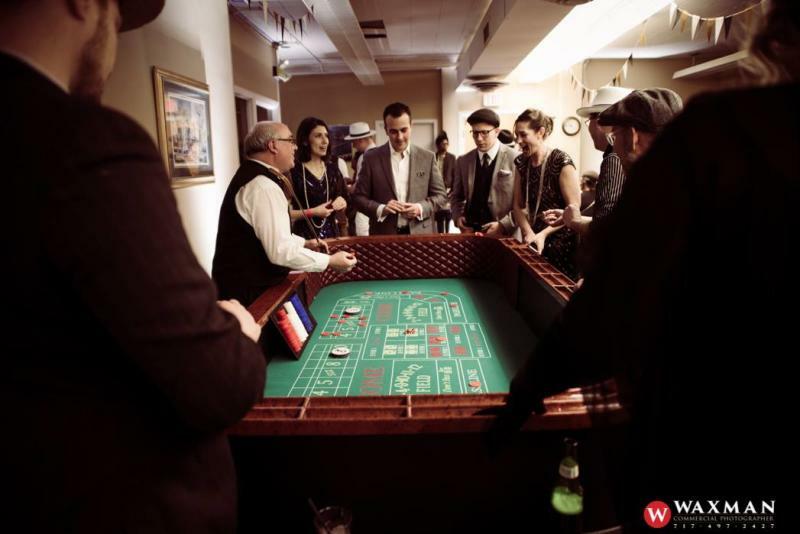 Live casino games will fill the former bank and guests are invited to try their luck at blackjack and craps in the hopes of winning one of the coveted raffle prizes displayed in the bank&apos;s main vault. 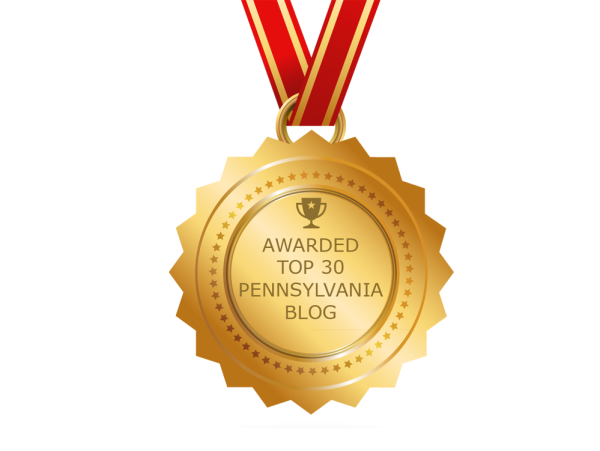 One of the most anticipated highlights of the night will be a performance by the Ladybirds, a dance performance troupe from The Victrola Dance Hall in York, PA. 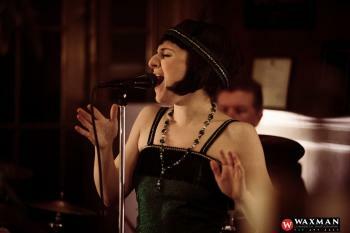 They specializing in routines highlighting the 1920&apos;s Flapper style and will be performing throughout the night in the main banking hall. Costumes are not required but most guests come dressed in their best 1920&apos;s attire, so men don&apos;t forget your fedora and pinstripes, and ladies bring your best flapper dress! Historic Harrisburg Association is a non-profit, volunteer-driven organization that has been “promoting historic preservation, urban revitalization and smart growth since 1973.” Since 1993, it has been headquartered in the historic Central Trust Company building at 3rd & Verbeke Streets where many programs, events and activities are conducted throughout the year by the HHA and other community groups. For more information visit www.historicharrisburg.com or call 717.233.4646.